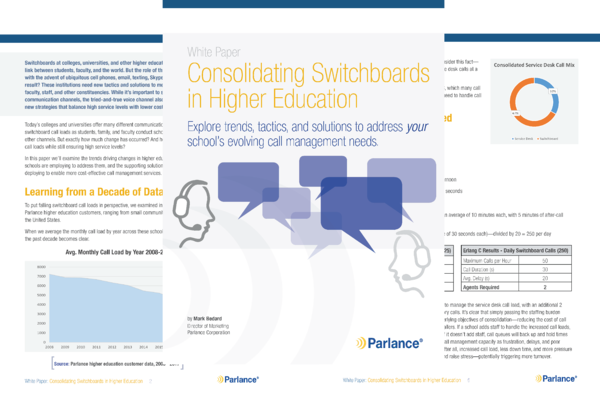 Explore trends, tactics, and solutions to address your school’s evolving call management needs. Learn why evolving call management requirements are causing many higher education institutions to embrace new consolidation strategies and solutions in order to reduce costs, increase efficiency, and improve caller experiences. Parlance does not sell, trade, or rent your information to others.